This is a standalone Gift Aid form for those who have already made a donation, or who wish to send a cheque by post or make a bank transfer. If you are looking to make an online donation by credit or debit card now, you do not need to fill in this form. Please click here to access our online donation form, where you can submit your Gift Aid details as part of that form. Completing this form enables us to claim Gift Aid on your donation if you are a UK taxpayer, at no extra cost to you. If you do not meet these criteria then unfortunately we cannot claim Gift Aid on your donation. Are you are a UK taxpayer making a personal donation? 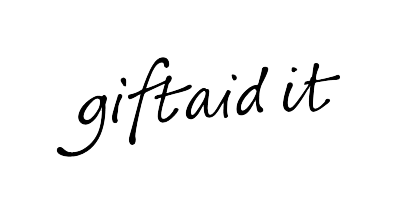 In order to Gift Aid your donation you must tick the Gift Aid tick box below. Yes, I have ticked the box to declare I am a UK taxpayer and I would like to Gift Aid this donation and any donations I make in the future or have made in the past four years to the Duchenne Research Fund. I am a UK taxpayer and understand that if I pay less Income Tax and/or Capital Gains Tax than the amount of Gift Aid claimed on all my donations in that tax year it is my responsibility to pay any difference. I would like to be added to the Duchenne Research Fund's email update list to receive a few emails a year letting me know about the DRF's activities and how the charity is using my funds to help combat Duchenne. Scroll down to read further terms and conditions.